Hintons is situated on a main road in a rural location, where plants have been grown since the mid 1750s. Plants are still grown on site and are many and varied. 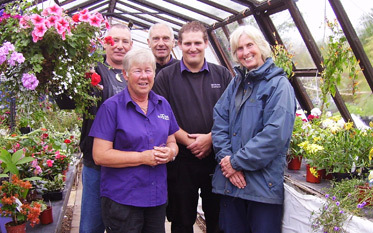 And because our staff grow the plants - they also have a good practical knowledge of gardening and horticulture. The 1881 census lists a head gardener and seven under-gardeners working and living here at our site. 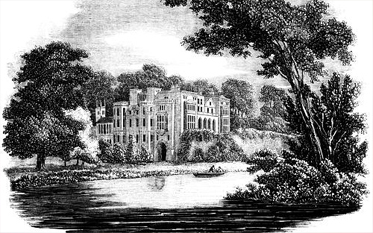 They would have grown and provided fruit and vegetables to the Greatheed and Heber-Percy families, who maintained the gardens to the highest standards. William Hayward, one of the under-gardeners in the early 20th century won a prize at the Royal Show for growing the blackest Pansy on behalf of Guy's Cliffe House. We still grow black pansies here today! Whilst the nursery now hosts a different sort of team and has a more modest owner, the original walled garden, part of a Victorian peach house and a sunken glasshouse all still remain. Restoration of the garden is now underway. Visit www.guyscliffewalledgarden.co.uk to see its progress or follow them on Facebook. At Hintons we are lucky to have a warm and friendly group of nursery staff who will always do their best to assist and advise. Please come to visit us in Warwick to see how we can help.